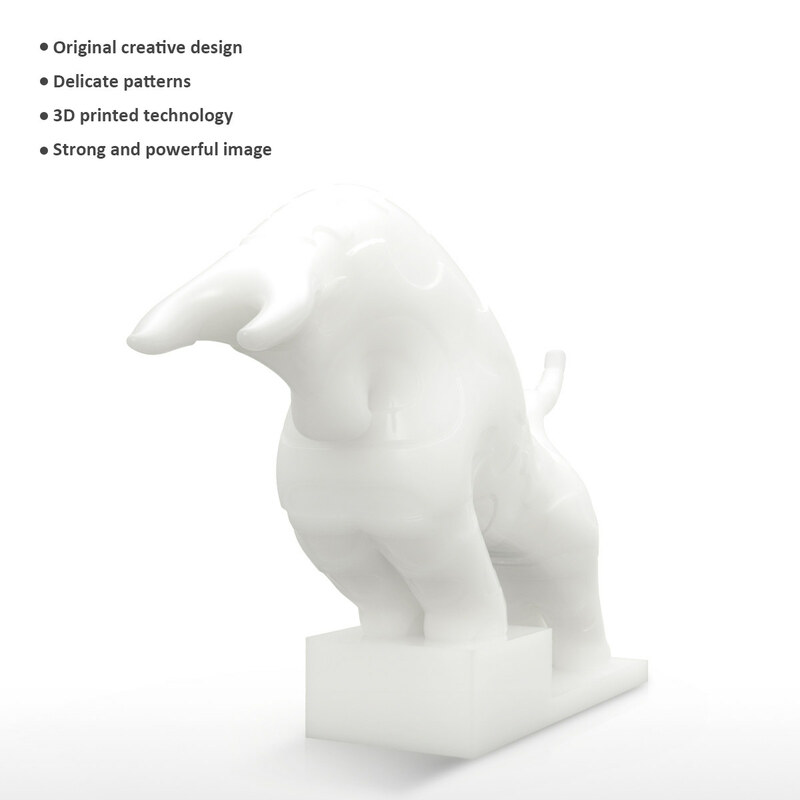 The bull sculpture is originally created by Tomfeel artist through 3D modeling technology in computer. It seems as if the bull is ready to have a fight. The bull put its forelegs in the step, with its ox horn aiming at the front, ready for the challenge. 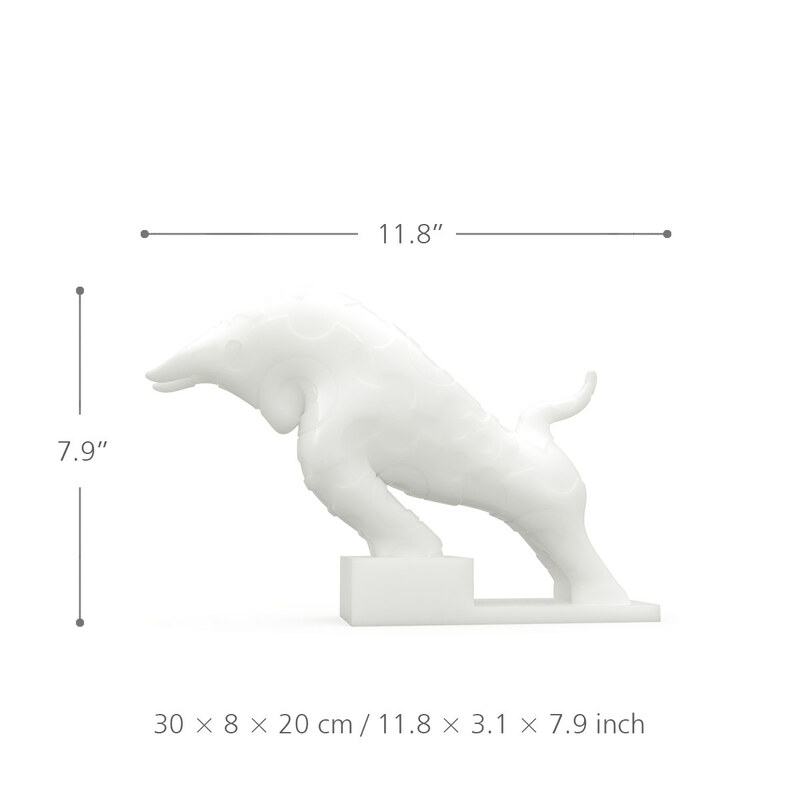 The bull statue is created through an abstract and hyperbole expression, which shows the strong and powerful bull. 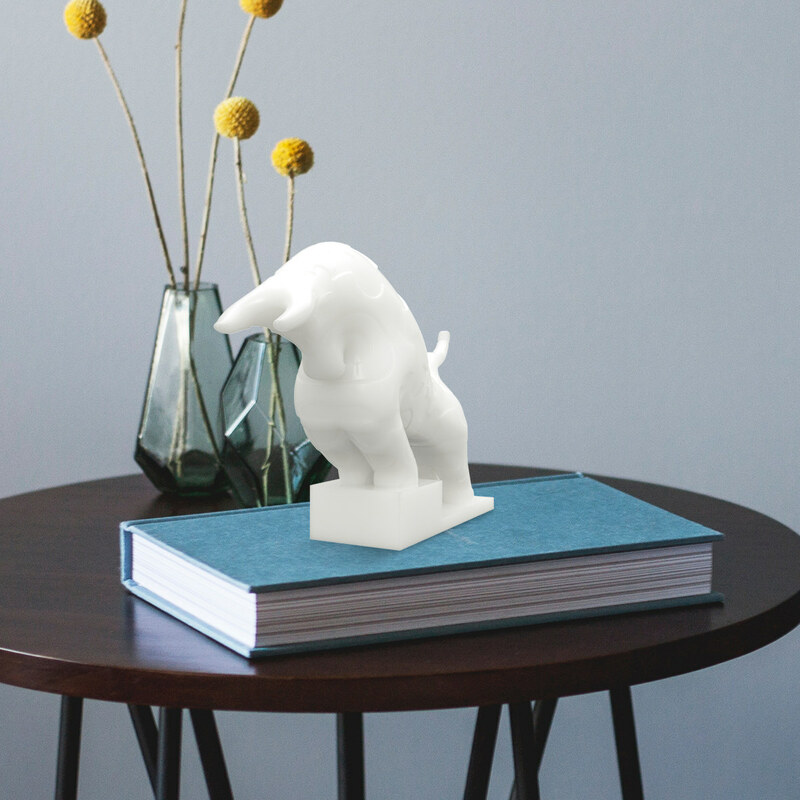 A great interior decoration for living room, study room and bedroom. 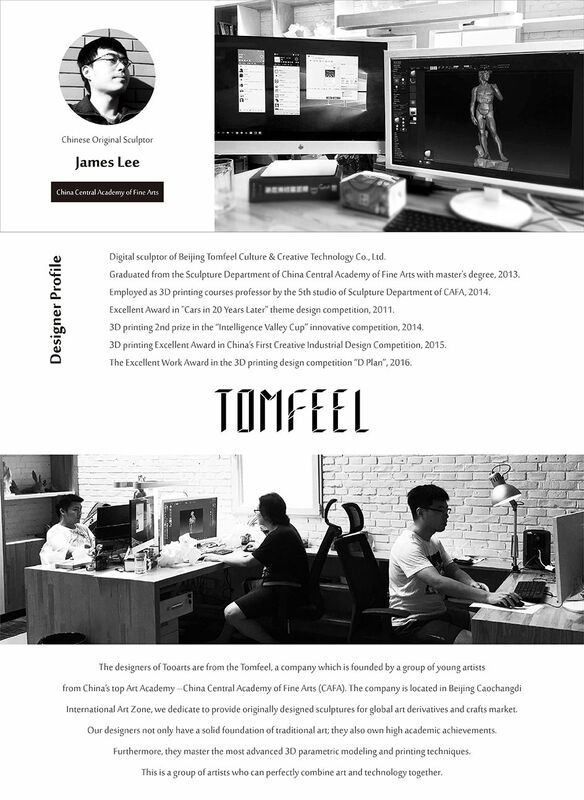 Original creative design: Abstract bull sculpture is originally created by Tomfeel artist. It adds o great touch to the home. 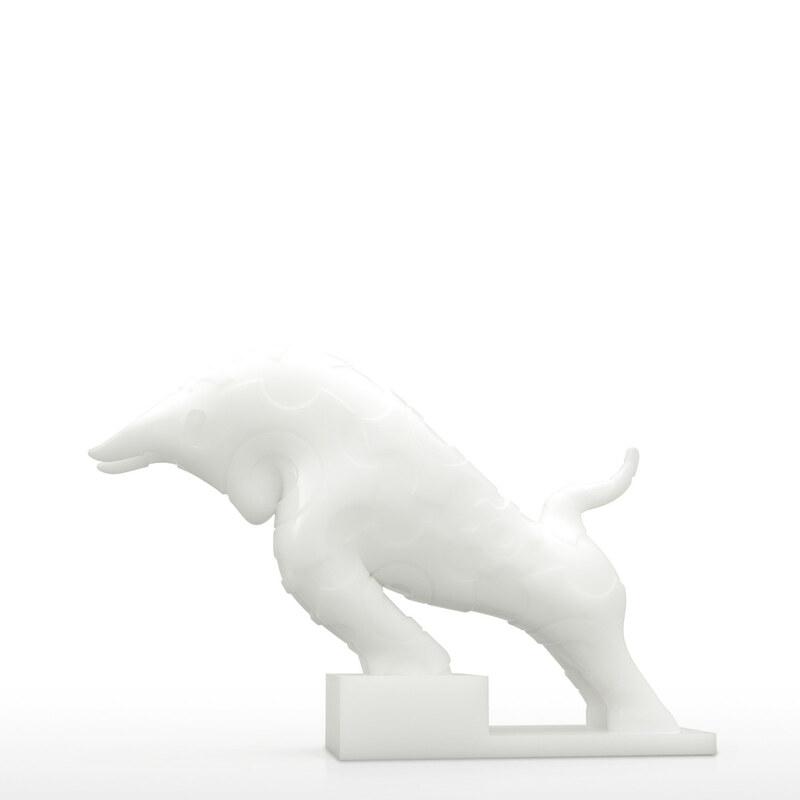 Abstract sculpture: Abstract bull sculpture is created by 3D modeling technology in computer. 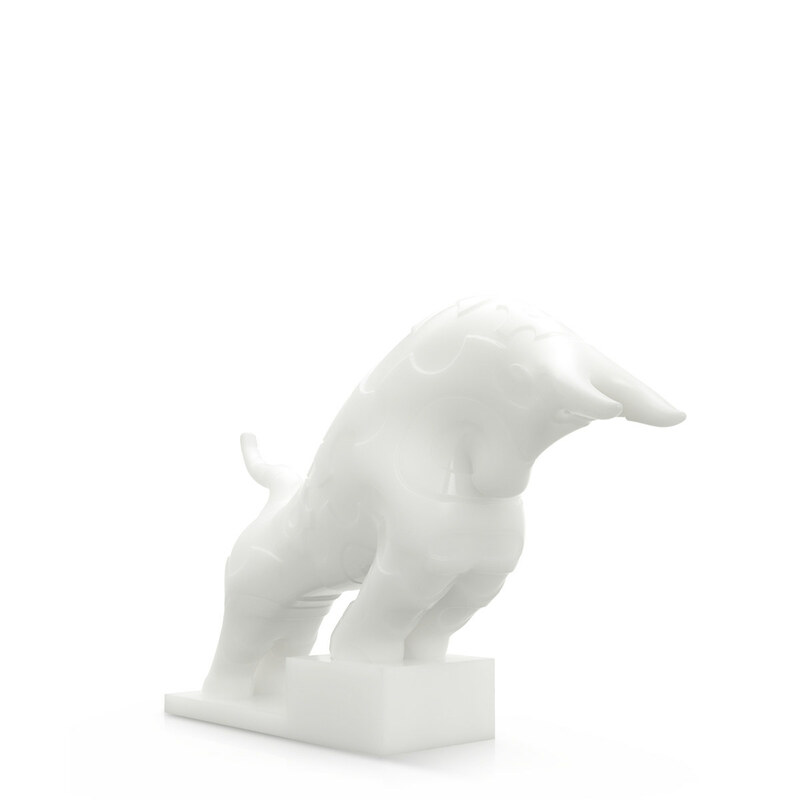 Style and pattern: The bull statue is created through an abstract and hyperbole expression, which shows the strong and powerful bull. On the surface there are delicate and beautiful patterns. 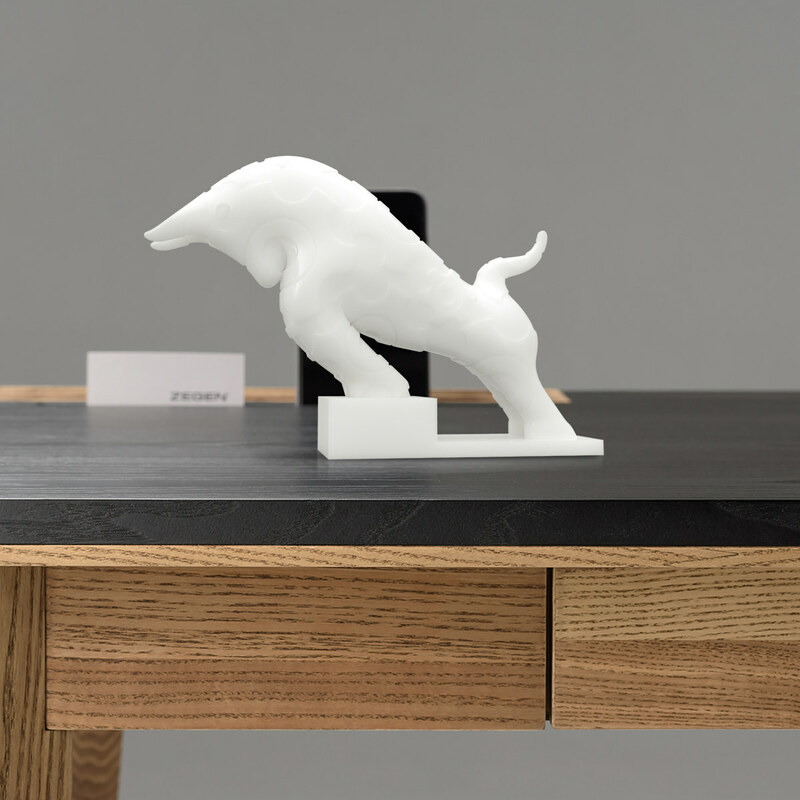 Developed technology: This abstract bull statue is made by photosensitive resin material and formed by 3D printed technology. What a perfect combination between advanced technology and art. Decoration gift: Great ideal gift for home decoration or for any occasion.